The oh-so popular game Minecraft took the PC gaming community by storm back in 2011. In early 2012, it was announced that the game would be coming to Xbox Live Arcade, and since releasing it, it has broken records across the board. Now Microsoft, namely Major Nelson, has announced that the game will now be shipped on disc for the Xbox 360. Here is the information provided. 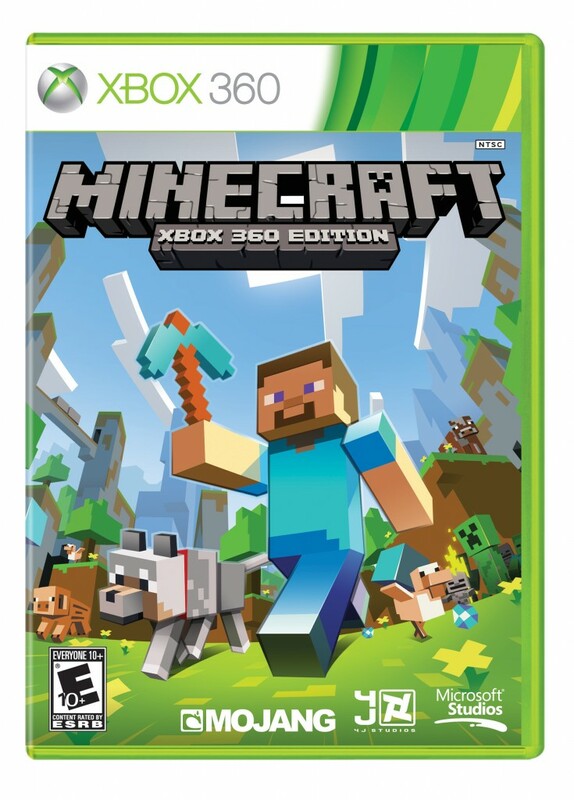 With the release ofSkin Pack 4for Minecraft: Xbox 360 Edition, we’re excited to announce that Microsoft will soon bring “Minecraft: Xbox 360 Edition” to retail as a disc-based version that will let gamers who are not currently connected to Xbox LIVE experience the thrill of Minecraft! This version of “Minecraft: Xbox 360 Edition” will contain all the same features and content included in the current version, as well as the new additions coming soon in the ninth title update to the game. The retail game will be exactly the same as the digital version in every way, including support for multiplayer connectivity between the retail game and the digital download, and the retail disc version will receive all the same content and feature updates as the digital version ongoing. The retail disc will arrive in stores in the US on April 30, and will cost $19.99.The retail package is also coming to Australia, Hong Kong, India, New Zealand, Singapore, and Taiwan in early June.